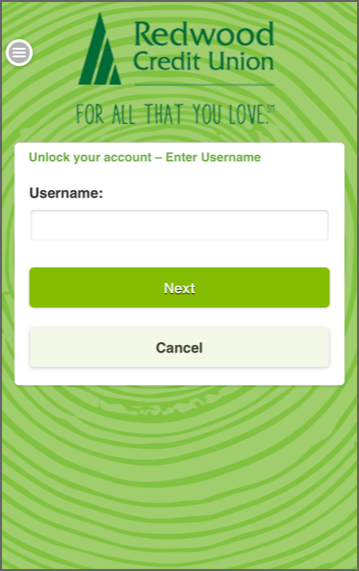 You can unlock your account through the mobile app. 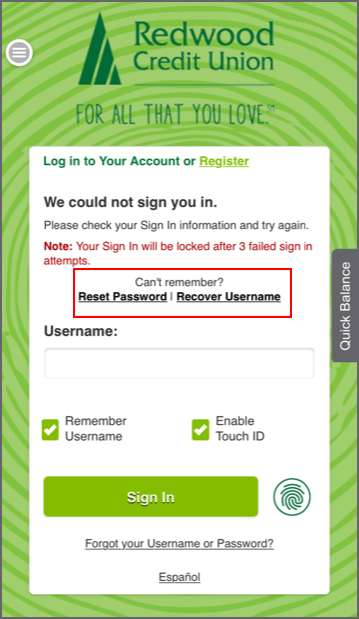 If you can't remember your login information you can choose to reset password or recover username. Your sign in will be locked after 3 failed sign in attempts. 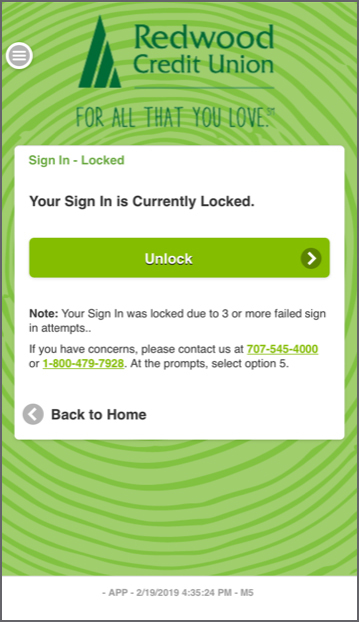 If you have locked your account after too many attempts to login, the locked page with the option to unlock your account will appear. Click the Unlock button to begin. 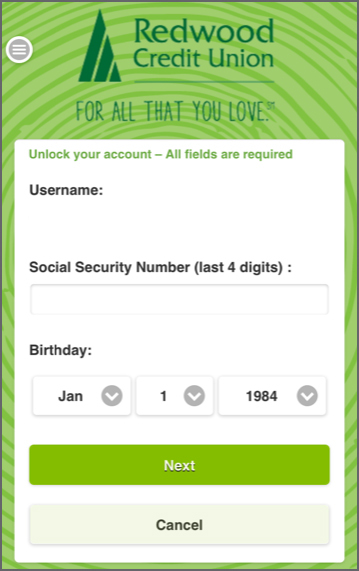 Next add the last 4 digits of your Social Security Number and Birthday. 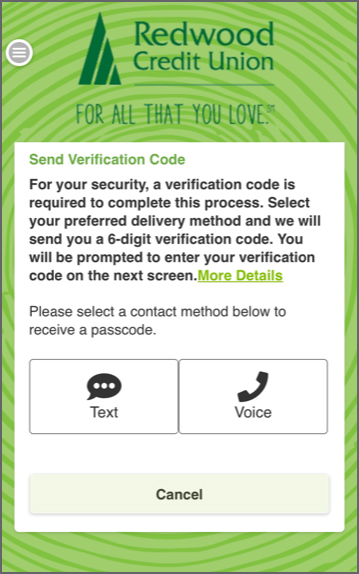 For your security, a verification code is required to complete the process. Select your preferred delivery method and we will send you a 6-digit verification code. Once the verification code has been submitted your account should be unlocked.